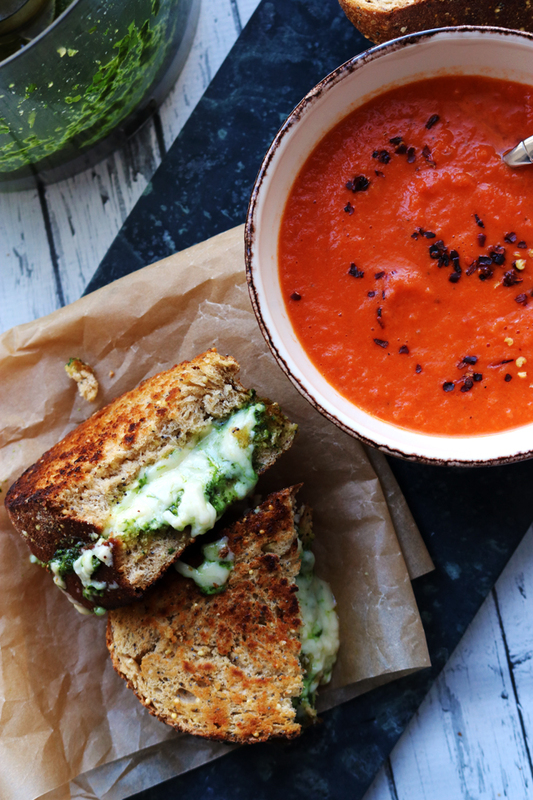 Just because it’s summer doesn’t mean soup season is over! 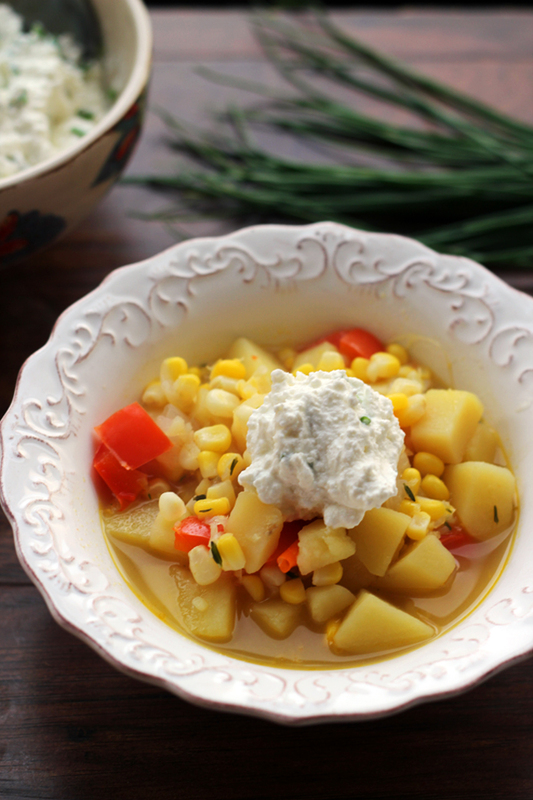 This light corn chowder is stuffed with summer vegetables and fresh clean flavors, and topped with a dollop of chive-infused ricotta for a hint of indulgence. Sweet summer corn is good (and I mean REALLY GOOD) for, what? Four weeks a year? Maybe five if we’re pushing it? And I intend to eat all of it. Which is thick creamy dreamy and so not 85 degrees and sunny appropriate. To chowder or not to chowder, as Shakespeare would have undoubtedly had Hamlet say if corn had been indigenous to 16th century England. On the one hand, get it while the getting’s good. And on the other, it is just SO HEAVY that one bite will probably make us feel ill and like we have to take a cold shower. As with many of life’s greatest and most profound dilemmas, the solution is, apparently, compromise. It’s a thing. And a really delicious one, at that. 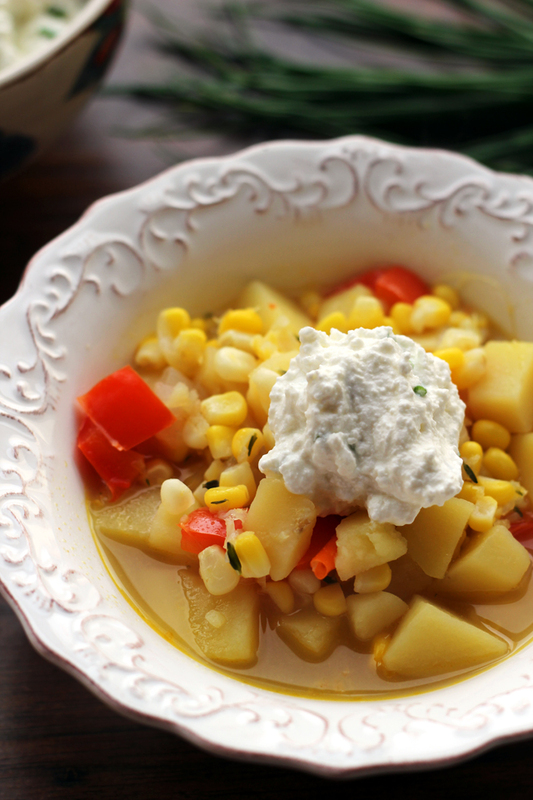 Even though this chowder is broth-based, it gets a hearty kick from the potatoes, corn and bell peppers that fill up every spoonful, along with a hint of decadence from the dollop of chive-infused ricotta that gets plopped on top. 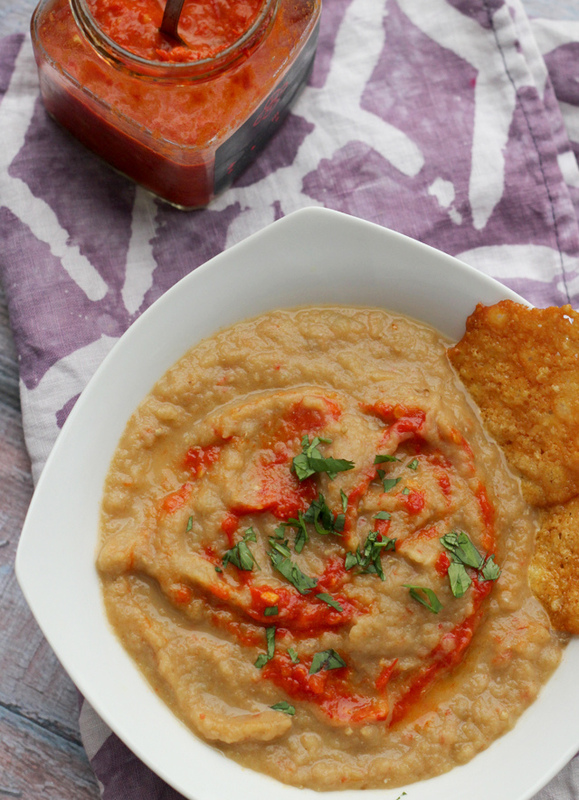 Just because it's summer doesn't mean soup season is over! This light corn chowder is stuffed with summer vegetables and fresh clean flavors, and topped with a dollop of chive-infused ricotta for a hint of indulgence. In a large pot over medium heat, melt the butter. Add the onions to the pot and saute for 3-4 minutes, or until tender. Add the salt, potatoes, bell pepper and corn kernels to the pot. Saute for 4-5 minutes, stirring frequently. Add the thyme and vegetable broth to the pot, scraping the bottom of the pot to pull up any brown bits. Bring to a boil and then simmer, covered, for 20 minutes. Meanwhile, in a small bowl, stir together the ricotta and chives. Season soup to taste with salt and black pepper. Remove the thyme sprigs before serving. 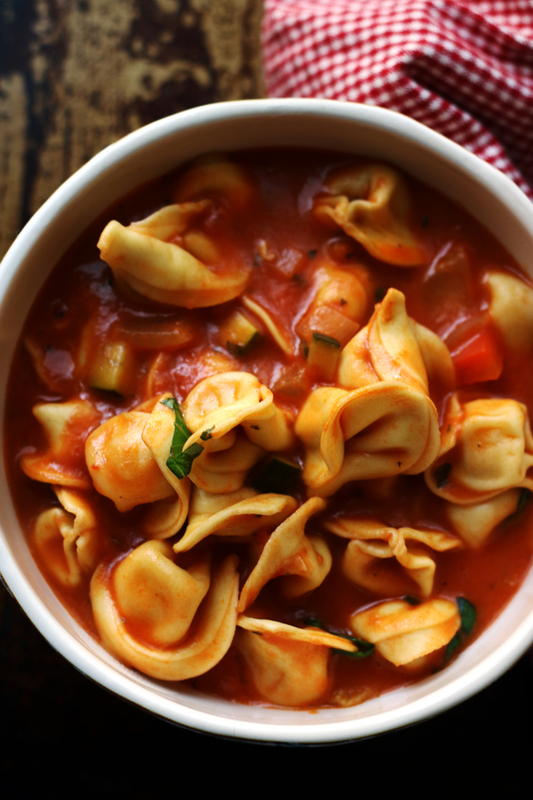 Divide the soup evenly among four bowls and top each with a dollop of ricotta. I had soup yesterday too. Your corn chowder looks healthy and delicious. We just had the first corn of the season today! SO GOOD. 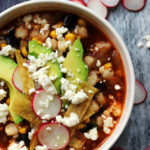 Also, it is still totally soup season — what better time than the dead of summer to eat the best-tasting vegetables in the land in every form raw or cooked? That chive ricotta sounds fantastic too — I remember making a basil ricotta that was just amazing, so I can imagine exactly how much of a punch is must pack here. Yay! 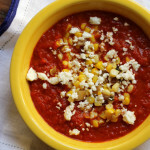 I absolutely love summer soups! 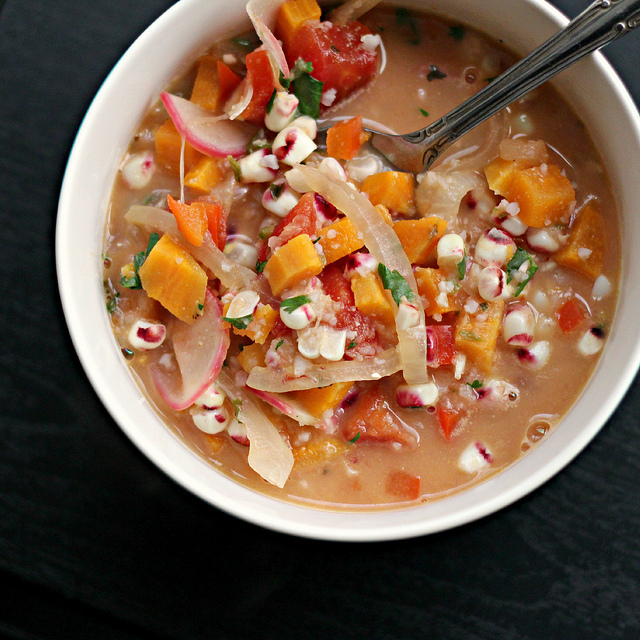 I love corn chowder and yours is particularly gorgeous. The ricotta on top is genius! Yes please! How beautiful! I am loving your corn board on pinterest too. You should really patent this. It is the best of corn and the best of chowder pulled together for summer perfection! Love the idea of a summer chowder! Or, chowdah as the folks around Boston would say… I love all the veggies in this! This is my kind of chowder, who needs the heavy stuff? And that ricotta… I want to spread it on everything! That chive ricotta!! Brilliant. I love summer chowders, especially on days like yesterday when the temps are all over the place. I want corn in all things as well…bring it! 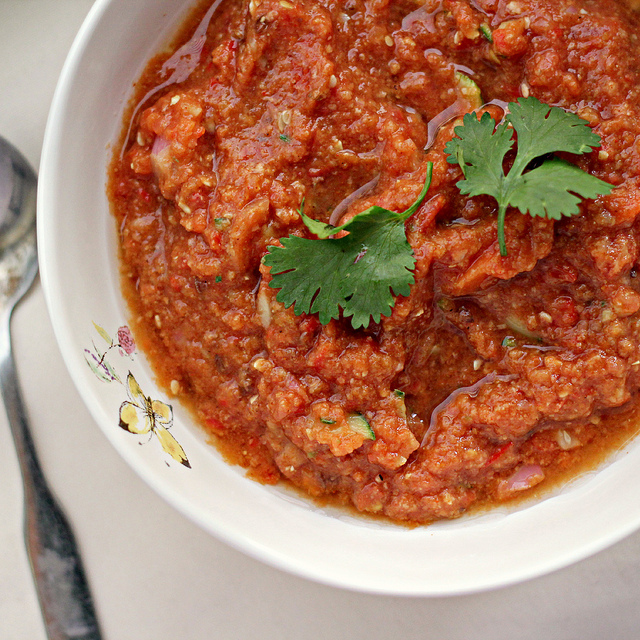 And this recipe is awesome! 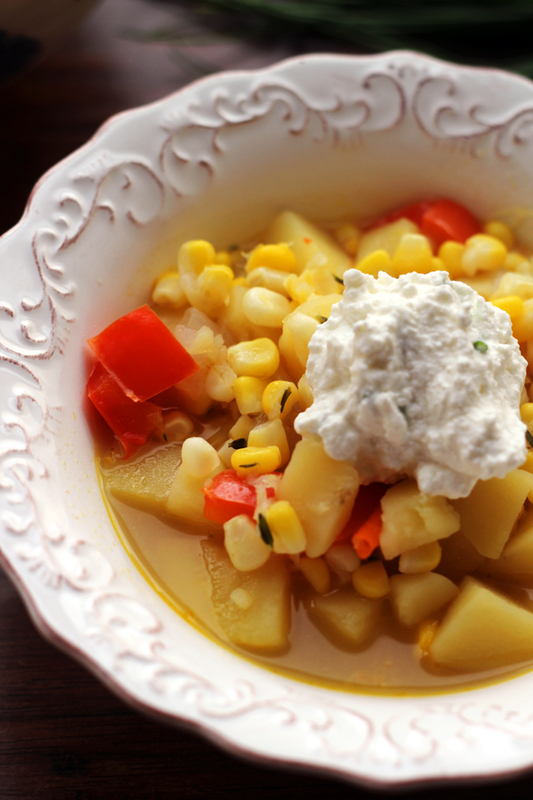 I can definitely go for corn chowder any time of year and that ricotta is driving me berserk! Not gonna lie, I may have to take a cold shower after enjoying a big bowl of this soup in spite of the fact that it’s butter and creamless because I want to do all the things to it. < – Too bold. Too bold for a Monday. Sweet summer corn is good. And I love adding to soups. Delicious! The chive ricotta is inspired! Potatoes and corn with thyme sounds heavenly! I don’t think I could resist seconds of this fabulous chowder! Loving this soup! I made a similar, less soupy version last night, but with zucchini, and threw it over polenta. Agreed – when the corn is good, get it. Love this summer chowder – I’ve been picking up corn from the farmer’s market each week – it is so sweet! There is probably something wrong with me, but I cannot enjoy soup during Summer. I see all sorts of cold soups, and Summer-friendly soups, but I never make them or try them in restaurants. Not sure why, I should at least give it a try, right? HI Joanne, what a smart dish, love everything about this and could eat this all day long! 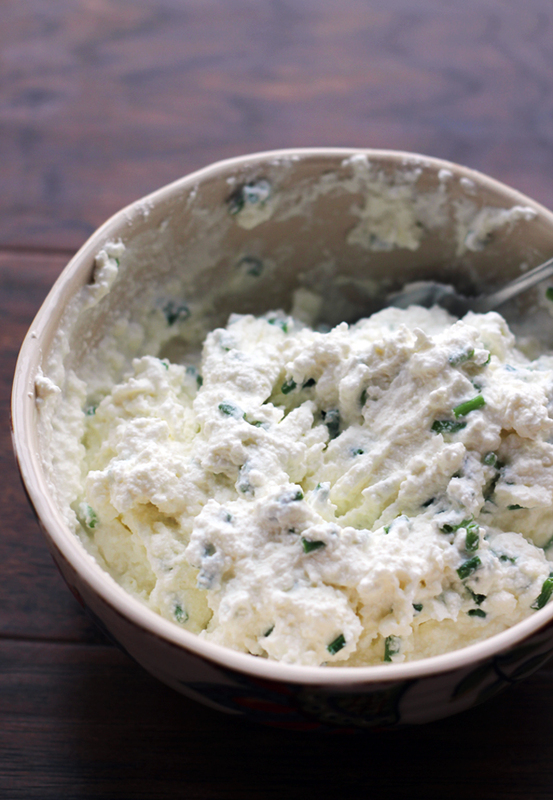 OMG the chive ricotta is genius! Especially over this chowder! YUMMMM! Oh I will totally join you in eating ALLL of the corn! I actually thought about doing a corn week on my blog, but then ran out of time, haha. 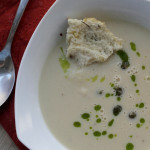 I love your summer soup – this looks so light and delicious! I definitely love soup year round! Oh, I will most definitely be joining you. I’ve always thought the chowder in mid summer seemed a bit overwhelming, but this would be PERFECT. Absolutely! My stomach has been protesting the cups of corn I’ve happily eaten this summer, but it is so so worth it. Corn is why I live for summer, no? 🙂 And to chowder is the only way to go! I think chowder is like ice cream – there is on season for it! I think adding the ricotta on top is brilliant. The chowder looks tasty! i’m all about soup year round! 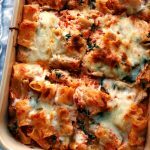 you don’t have to convince me 🙂 that chive ricotta topping sounds wonderful! Soup is great anytime of the year. 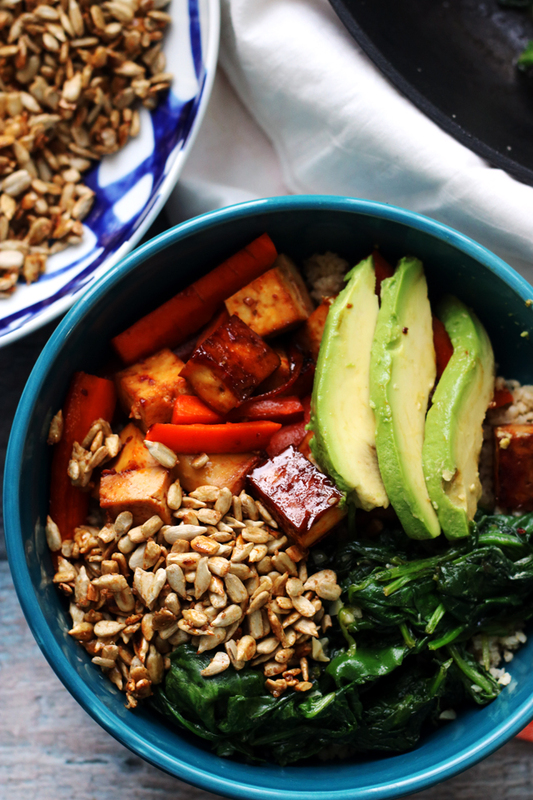 Oh hello, gorgeous bowl of goodness. Get in mah belly! Oh my gosh, Joanne! This is like Summer in a bowl. And I LOVE it. I will certainly join you in eating as much farm-fresh corn this season! Corn chowder definitely says ‘summer’ to me and the dollop of ricotta makes it a meal and a delicious one at that. That is a lovely soup! Checking out the others at the bottom, too. TWINS! I have corn chowder on the menu for this weekend with friends. 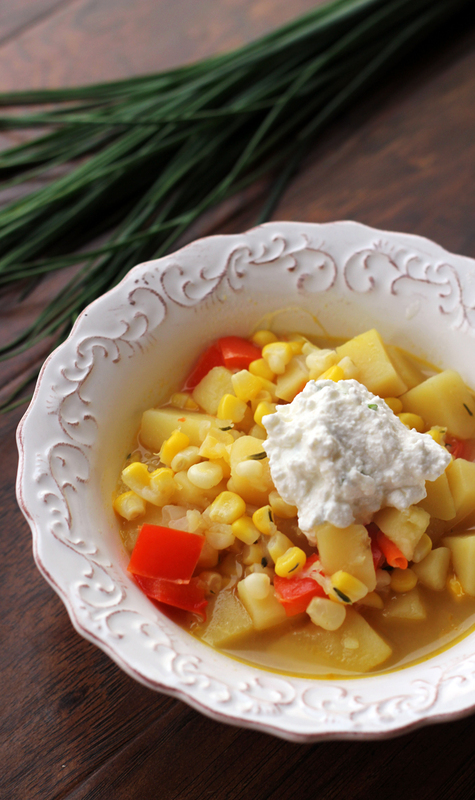 I love this lighter take on corn chowder! Love the ricotta chive addition! 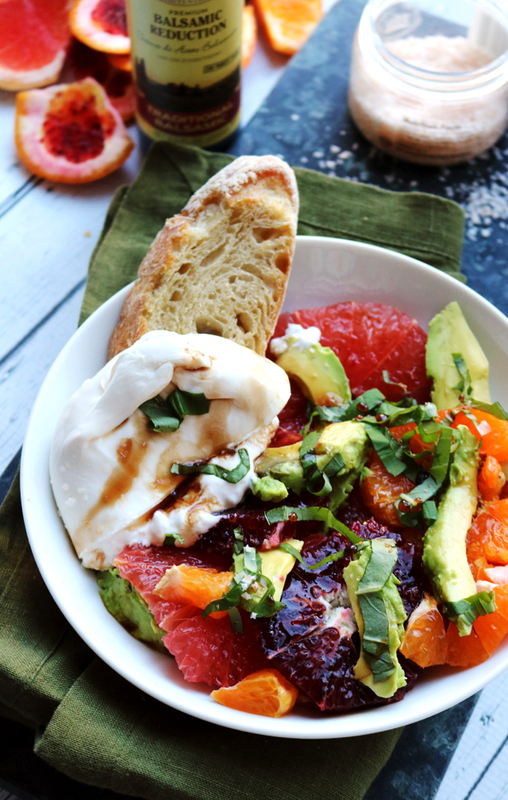 You put everything awesome about summer in one bowl!! Love this chowder. Perfect even in warm weather and I love any way to use summer corn while it’s here! This post made me laugh. It had all my negative preconceptions about this chowder in the summertime put to rest. This looks and sounds amazing! I know! Corn and peaches are only good for such a short time of the year, I too tend to overdose and love every minute of it. Every year I actually say I am going to make corn chowder but never get around to it. Yours looks so hearty! I support this! Corn really doesn’t need butter and cream to shine. I swear, the best ever corn I’ve ever had is wrapped in foil and thrown into a campfire, husks and all. 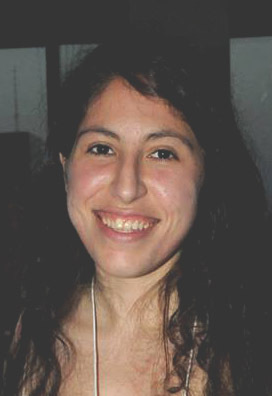 But a girl can’t always do that–this is a lovely alternative. And thanks for the linkage! Is there anything better than sweet fresh corn? I roasted potatoes the other day. When it was 105 degrees outside. So I am certainly not opposed to soup in the summer. I want what I want! 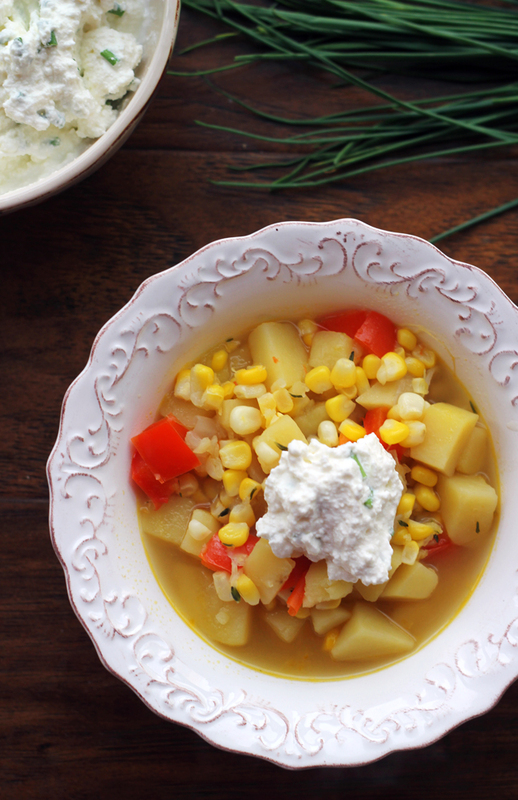 I can’t get enough of fresh sweet corn and your summer chowder sounds perfect! Love the sound of the ricotta chive too. Looks amazing! Love corn chowder as is but the ricotta on top really seals the deal and makes it extra special! I don’t mind eating soup like this even in 100 degree weather! It doesn’t matter what time of year it is I love soup. I love corn too and the corn chowder looks amazing. I totally got spoiled with sweet corn when I lived in Indiana. My uncle grew it on his farm and maaaaan it was the best ever. This chowder looks delicious – love the chive ricotta dollop!